If you are struggling with weeds around your dock or shoreline, and want an easy way to clear all that vegetation, these 4 aquatic weed cutting tools are the perfect fix! Each tool will save time by helping you clear weeds efficiently. Featuring manual seaweed cutters as well as motorized and automated water weed removal solutions! The 49" V-shaped Weedshear the perfect tool for getting weeds by hand. The Weedshear will easily cut through all kinds of underwater weeds without you even needing to get into the water, by using the attached rope you can eaily throw it. Effective at an depth the Weedshear is also collapsible so it can easily be stored. The AVG is meant for cutting those thick weeds on your shoreline as well as in up to 4' of water. 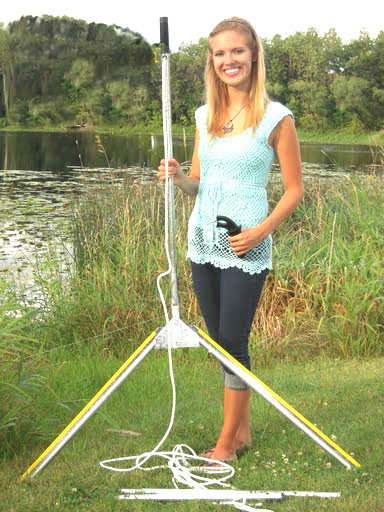 It is used by individuals as well as many lake & pond management companies. It cuts cattails, reeds and lily pads with very little effort. The available float attachment option will also give you an extended reach in those hard to reach areas. The Boat Mounted Aquatic Weed Mower is a batter powered high powered high efficiency weed cutter. It will cut aquatic vegetation up to 4 feet deep with ease without the need for chemicals, rakes or painstaking labor. Cut large areas of submerged and emerged weeds with very little effort! 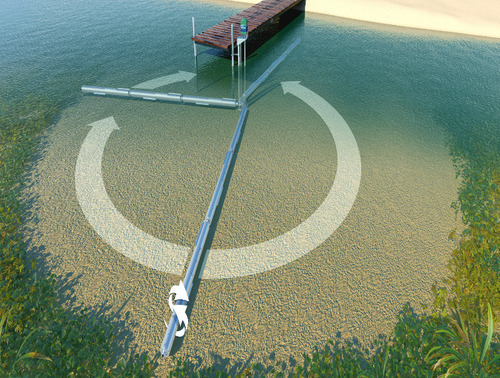 The Lake Groomer is an innovative weed eliminator system that can be attached to your dock or pier. While getting 21' of reach you get no weeds, no muck and no labor. The Lake Groomer's rollers will do all the work for you so that you will not have to. Enjoy your beach without the abundance of weeds!